The Victory Lap is bettering lives with a powerful model that creates opportunities and higher quality of life for seniors and youth. KIDS AGING OUT OF FOSTER CARE FACE TREMENDOUS OBSTACLES. The Victory Lap is changing that. The Victory Lap was created with the mission of bettering outcomes for foster youth as they transition to adulthood. Currently, most end up under-educated and under-employed, and many experience homelessness. With a holistic and caring approach, The Victory Lap is leveraging the kindness of seniors and the opportunities found in senior care facilities. Many Senior COmmunities HAVE PLENTY of Vacant APARTMENTS... and VACANT SHIFTS. The Victory Lap is Filling them Again. The Victory Lap leverages the high fixed costs of senior living communities to provide safe and supportive housing for at-risk young people and a gateway to careers in many fields. 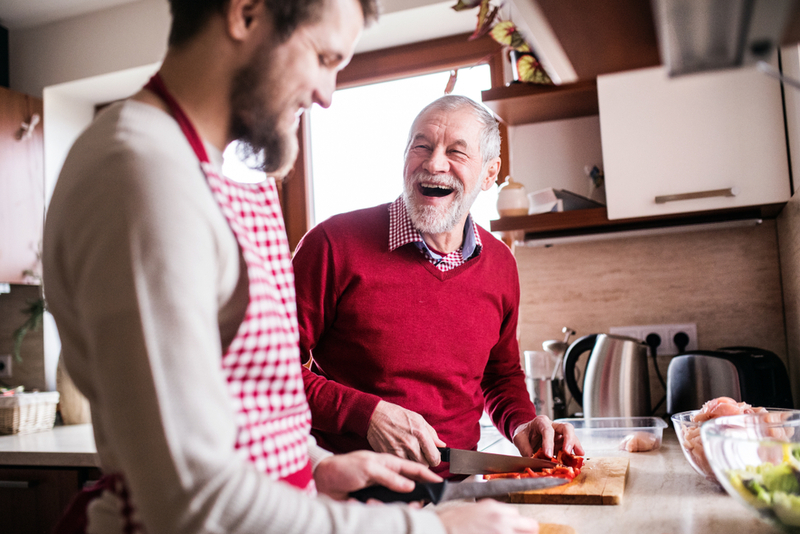 Additionally, seniors thrive on interaction with young people, and the chance to help their healing and bolster their futures provides a renewed sense of purpose. Under the Victory Lap model, the social services agency holds the license to provide independent living services to transition age foster youth. The agency supports the youth with case management, educational attainment and soft skills development and pays the SLP a substantial portion of the state’s daily board rate for the provision of housing, meals, utilities, cable/wi-fi, job training and a minimum of 10 hours per week of paid work. The Victory Laps connects Senior Living Service Providers with Social Services Agencies. Find the perfect senior living community for placing extended foster youth. Connect with social service agencies for accepting extended foster youth into your community.